The festive break is over. You slowly begin to settle back into your school routine, only to spy the official UCAS application deadline rearing its ugly head on the horizon. “Why is 15th January so important?” you may be wondering. Well, if you want to guarantee that all of your chosen universities and colleges will consider your application, you must submit your UCAS form by midnight on this date using the Apply system. 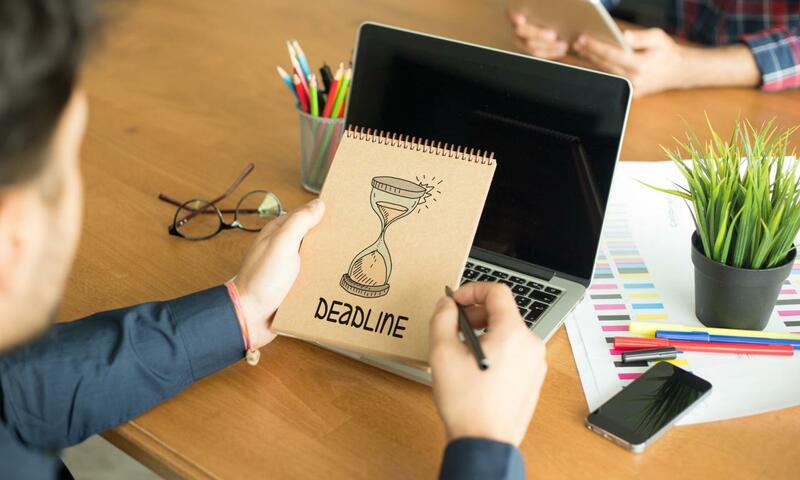 So if you’re applying for competitive courses at the UK’s top universities, it’s essential you meet this deadline to give yourself the chance of being offered a place. Universities and HE colleges are not obliged to consider any applications received by UCAS after 15th January. Yes, it’s the most dreaded part of the UCAS application form, but this is no excuse to deny all knowledge of its existence as soon as you’ve written it. While you think your personal statement may be "finished", read through it again and check for any spelling and grammar mistakes (NOTE: Word’s Spellchecker is not faultless). Ask your family and friends to read it, too. See if they find any glaring mistakes, or can suggest any more improvements. Your personal statement is what makes you stand out from the crowd, so you don’t want to start having second thoughts about it when you're only minutes from submitting your application. For many applicants a tutor will complete this, and then your school or college will send off your application to UCAS for you. To check whether this is the case, log into the Apply system and look for a message on the Welcome page that says ‘Your application has been sent to UCAS and will be processed shortly’. Don’t see this message? Try not to worry - it either means your reference is still being written, or your school/college have not approved your application. Depending on the situation, contact your tutor and ask when the reference will be ready, or ask your school/college when they will be sending off your application. It’s also worth checking they haven’t sent the application back to you for you to make changes. If so, you’ll see a message from them explaining what you need to amend when you log into Apply. Once you’ve made the changes they’ve asked for, be sure to send it back to them again! 11:58 pm on 15th January is not the best time to submit your UCAS application (despite what your mates say). Assume that something will go horribly wrong if you tried to do this (it probably will anyway), and use this as an incentive to send it off at least a few hours before the deadline. Although technology is supposed to make our lives easier, glitches can happen. The UCAS Apply system may decide your login details are no longer valid, or be running slowly under the weight of numerous students also trying to submit their application. Your internet connection might choose this as a good time to die, too. Leaving it this late in the day also means you will have zero time to fix any errors in your personal statement, exam grades or other details. #4 Keep calm. It’s only an application form. OK, so I know you want to go to university to study a subject you love, get a career and make all your hopes and dreams come true, but...let’s put this into perspective a little. At the end of the day, the UCAS application is just one of the many forms you will have to fill out in your lifetime. Yes, it requires you to put in more work than most other application forms, but with a bit of organisation, there’s no reason you can’t get it sent off by the 15th January without having a nervous breakdown. Getting into a flap about it will only cause you to lose focus when it comes to making those crucial final checks on your application. You’ll be more likely to make mistakes, or forget to correct things, then miss the deadline altogether! So keep calm. It’s only an application form. Got any questions about your UCAS application? Or any feedback/comments on my post? Please pop them below!